Booby and the Beast: What Does the Beast Mean to You? What Does the Beast Mean to You? 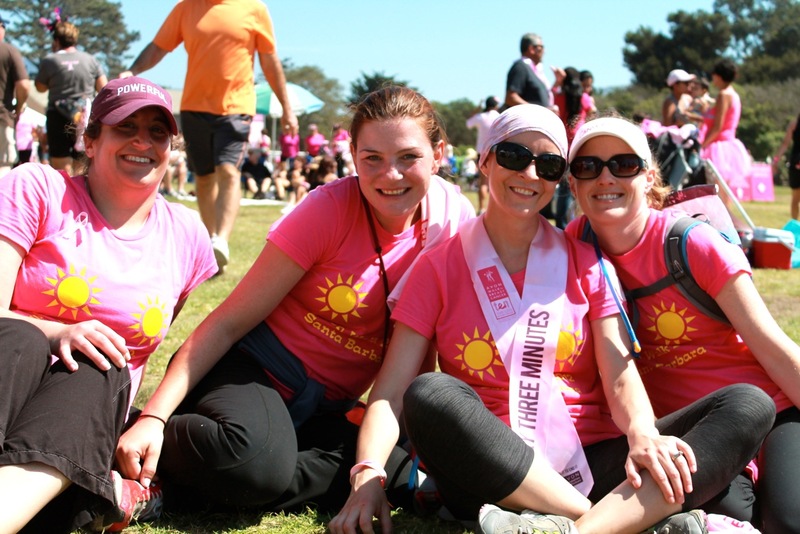 From left to right is Sheryl, my friend from college JT, me wearing a reminder sash that someone is diagnosed with breast cancer every 3 minutes in this country, and Ginelle, just after finishing our first Avon Walk in Santa Barbara in 2012. I was on a training walk with my friend and team co-captain Ginelle a few weeks ago while visiting her in San Diego. It was Mother's Day, and our conversation ran the gamut from our kids' friendships and education in public schools to taking care of our mental health to the upcoming election, god help us. This is how these types of walks tend to go when you're on the trail with a woman who has seen you at your literal worst, who has filled your freezer with homemade chicken pot pies and made pureed organic baby food for your 8-month-old, whose friendship has grown out of an openness and willingness to talk about issues that sort of surprised me when was first getting to know her. Several miles into our walk, she said to me, "You know, I've been thinking about what the beast means to me." At first, I didn't know what she was talking about. It took me a second to catch up. Then it dawned on me. We call our team "Team Booby & the Beast." "You mean, beyond cancer?" I asked. "Well, yeah," she said. "Since you're doing better, it's taken on a bigger meaning to me. It's not just about your cancer or anyone's cancer. I think of it almost as the struggles we face as women. The burdens we carry, particularly with the election we're facing. Don't get me started on that." I did get her started on that. We talked about Trump and the setbacks his presidency could mean for women. We talked about her daughters and my son and what we want them to know about their bodies, their abilities, the people they share this world with, and how to teach them respect for all of it. We talked about women who work, and women who -- like us -- stay home with our kids but used to have careers outside of motherhood. We talked about how lucky we are for the healthcare we have. We talked about privilege. And the disadvantages that still exist for women. Recently, in two separate posts on social media, I was brought to tears about the struggles women still face in our society, not to even mention other societies. One was about a book on evolutionary biology with contributions from some of the top experts in the field, which failed to include a SINGLE female voice, even though I know plenty of women scientists and I am not even one. Second was this video that just speaks for itself about where women are in the world today. This weekend, I am in Chicago with Ginelle and seven other teammates -- men and women -- to walk in my fifth Avon Walk, 39.3 miles over two days to provide funding for both research and underserved communities affected by breast cancer. I am pinching myself that I get to do this, that I am still around 5 years after my diagnosis, that we have so many supporters we have raised more than $32,000 and are currently ranked third for team fundraising in all of Chicago. I'm a little proud. As I was packing for our trip, Quinn turned to me and said, "I can't wait to see you walk in Chicago, Mom!" I was surprised by the tears that poured out of me. I walk for him, after all, and this is the first time he'll be around to cheer me on. I pulled him in for a big hug and wiped the wetness from my cheeks. 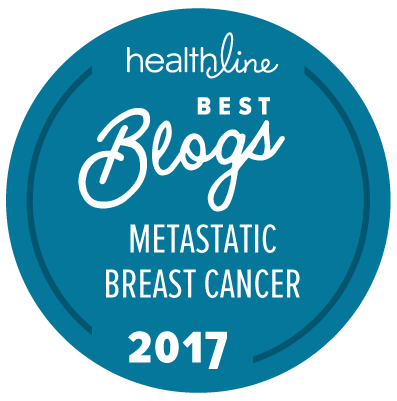 Cancer, specifically metastatic cancer, will always be my beast. It is the thing against which I rail -- in whatever small way I can make a difference -- until my friends stop dying. And I love that my son gets to see this side of me. He is old enough now to understand a bit of what it means to give back, to do something greater than yourself, to start to understand how breast cancer changed our lives. Earlier in the day, he had asked me if everyone in the world knew about the Avon Walk. Ha. Not yet. 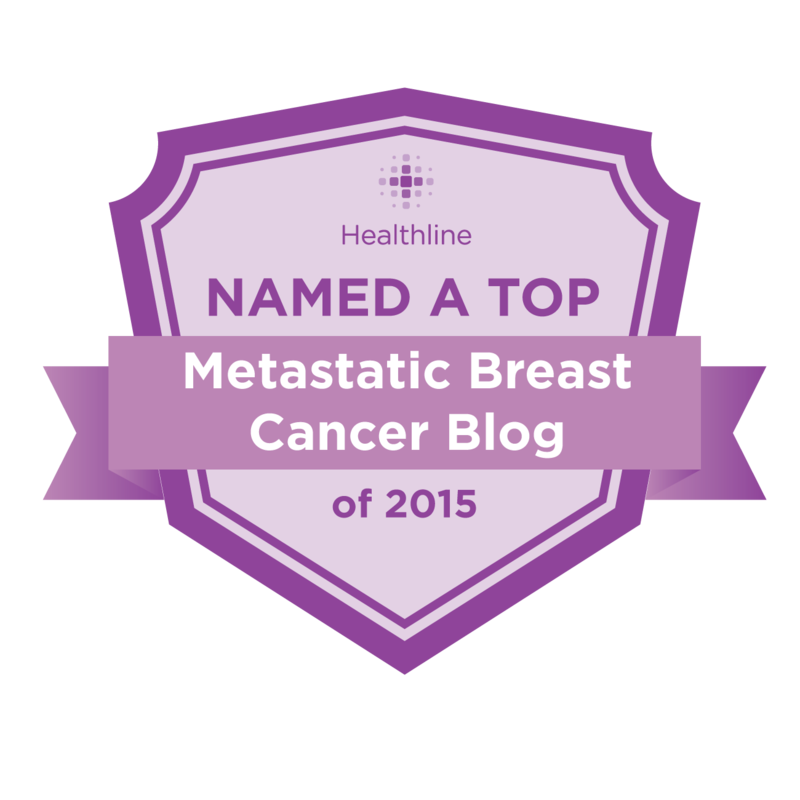 Not even everyone knows about metastatic cancer, but we are working on that. A number of patient advocates and friends of mine are also in Chicago this weekend, gathering to share their stories and insights with researchers at ASCO, the American Society of Clinical Oncology's annual meeting. I wish I could do both. Instead, I will be checking my Twitter feed regularly for updates on precision medicine, immunotherapy, advances from the Broad Institute, and quips from the brilliant women I get to call my friends. I hope that the walk went well. You and yours are often in my thoughts along with everyone dealing with the beast. Keep after it, killer. Thanks, Tim! It did go well. I'm amazed it was three weeks ago already. This year is flying. And, I need to write some thank you notes. Jennifer, this post really resonates with me. In our day and age, women are left out of important discussions on issues that affect women. It's infuriating. Congratulations on being one of the teams with the most donations. Thanks, Beth. It IS infuriating. Let's keep our voices in the conversation, okay?